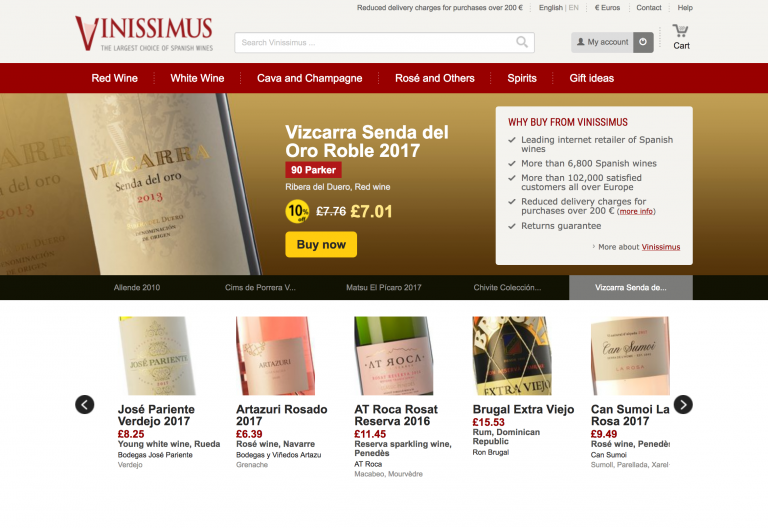 If you love wine and are sick of the same old brands from your local supermarket then take a look at www.vinissimus.co.uk – we have been using them for years. Vinissimus are a Barcelona based company who sell predominantly Spanish wines from as little as £2.80 a bottle and it’s good! The rage continues to the high prices but if you stay around the £5 a bottle range you are in for a great treat. These are wines that you will not get anyway in the UK however they do supply lots of restaurants here. You do pay for delivery which works out at around £1 a bottle but it’s still great value for money. Give them a try, their service is excellent and they are happy to chat on the phone about your tastes and requirements and will recommend wines to you depending on what you like. They deliver to your door and never let you down!